Peter Corneille', 1774. 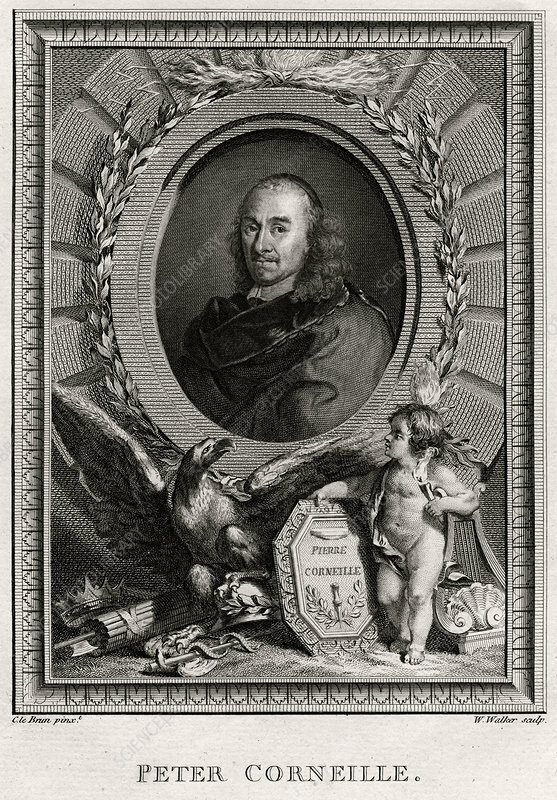 Corneille (1606-1684) was a French tragedian who was one of the three great 17th Century French dramatists, along with Moliere and Racine. He has been called the founder of French tragedy and produced plays for nearly 40 years. A plate from The Copper-Plate Magazine or A Monthly Treasure, London, 1774. Artist: W Walker.